There is no doubt that the future is digital. Codebrite, brought to you by Venture Centre, is designed to support your children thrive in the digital era: to go from consuming digital content and applications to making them! Codebrite TT is a series of eight ninety minute workshop running during term time, with a choice of morning or after school sessions. Code Avengers is the teaching resource of choice for Codebrite organiser - Venture Centre. Codebrite participants can use their Code Avengers account independently and at subsequent Codebrite series. *please pack snacks, lunch and a drink – there will be regular breaks to feed the brain! Codebrite combines learning-by-doing activities, expert facilitation and online resources to deliver an experience where children activate their creative, collaborative and problem solving skills and learn to code. All Codebrite tuition is project based, not tutorial based. It encourages creative, fun, collective learning, by supporting participants to develop their own projects. Codebrite is delivered in person with two tutors per group. Codebrite tutors have plenty of recent coding experience with foundational coding languages and are passionate about sharing their knowledge with young people. They are here to help participants generate project ideas and carefully select basic concepts to evaluate what tools to use to bring their idea to life. Whanau/parents are welcome to attend the ‘Show & Tell’ starting 15 minute before the end of each session. The subscription (12 months) to online learning platform Code Avengers is included in the cost of Codebrite and allows children to progress at their own pace during sessions and continue learning after sessions. Codebrite provides a starting point or an extension to the participants as they work at their own pace on the project of their choice with the most appropriate coding language. 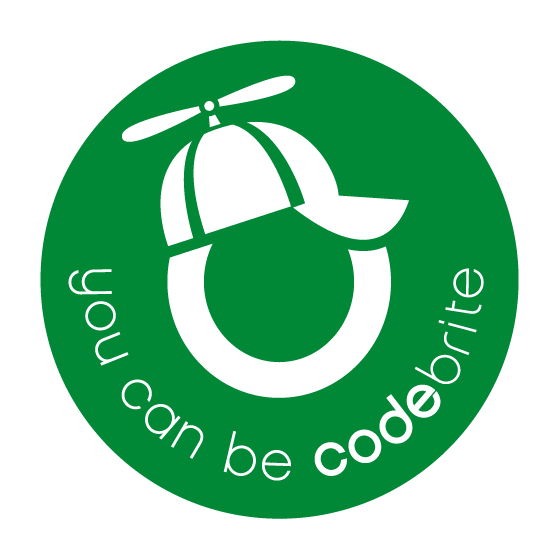 Codebrite offers a pathway to those who have started at school or in a community code club to extend and apply the basics they have learnt to their own project and pursue their passion in a social manner. The fees for the series cover access to a laptop, in person tutoring, subscription to the learning platform (valued at $29/month), venue and our special host to ensure all participants have their needs met during the session. "I wanted to say THANK YOU for providing my son with the best holiday programme he has ever attended. He so enjoyed his time with you and learnt heaps. He now wants to be a programmer"
"So cool to try out coding with people around you! I can ask the helpers questions and I can give my brain a challenge too"
Book your seat for a two-hour session this summer!